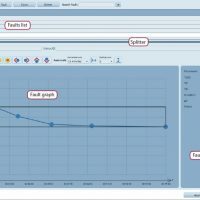 e-Tutor 5000 is an advanced evaluation and assessment system designed to automate simulator control and reporting functions, substantially reducing an instructor’s workload. Embedded electronic registry (trainee and log database). Embedded questionnaire system and the capability to integrate Computer-Based Training (MM files).